← Will R. Bird’s “The Major’s Prisoner” (1928)…. Will R. Bird’s “Strike Me Pink!” (1930)…. This is the fifth in an ongoing series where I’ll be posting PDF’s from my collection of WWI era pulp magazines. Will Bird’s stories do get stronger once the 1930’s roll around: his pacing gets better, the stories become more focused and he becomes less prone to battering the reader with endless plot twists –at least by the standards of the genre and his earlier stories. In short, Bird was learning his craft and the results can be seen in marvelous stories like Strike Me Pink! 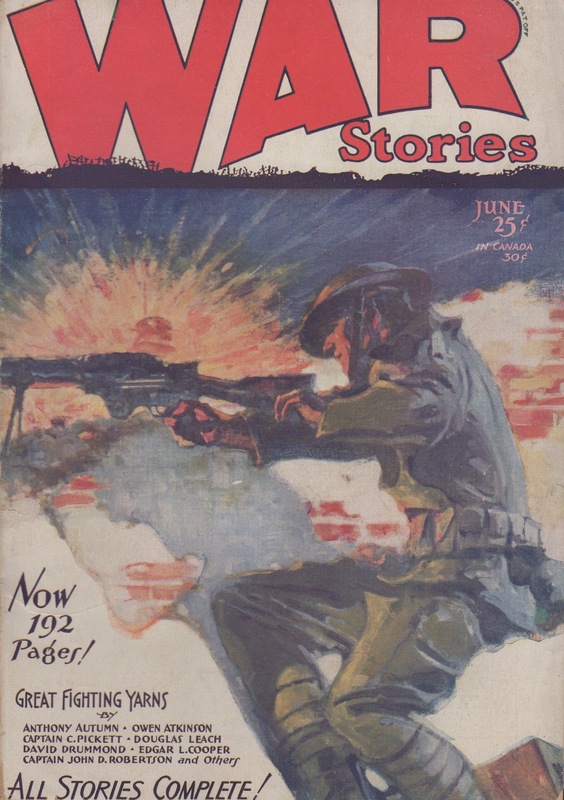 from the June 1930 issue of War Stories. Bird was never a fan of the officer caste, that much is clear. His protagonists, typically privates or corporals (with the odd sergeant tossed in for good measure) generally consider officers on a range somewhere between veiled antagonism to outright contempt. Strike Me Pink! fits this mould perfectly. Our hero is Sergeant Tim Corry, who has been loaned to the London Scottish Regiment by the Wales Borderers, who in turn got him from the Van Doos: “th’ Frinch Canadians, av which I’m an original, though me father was an Irishman, and distant blood on me mother’s side is Eyetalian…” explains Corry when an irate officer asks him where he’s from. 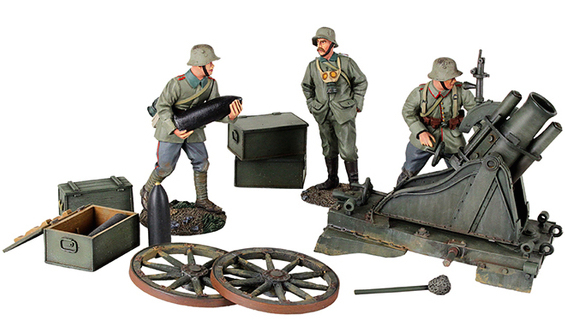 Corry is on loan because he’s a patrolling specialist and Fritz is up to something near the British lines around Loos. When the Sergeant heads out to observe the hun lines from a crater in no man’s land, a runner very soon appears demanding a report for the company major. And then another shows up, demanding another report on one of the official pink forms. And then another. Corry is gobsmacked at the bureaucratic demands of the pasty, pudgy, behind the lines & stuck in the dugout crew, who can identify a major landmark on a map, but not by sight. In short, the officers of Strike Me Pink! are the worst sort of paper-pushers, and even when the sergeant comes hustling in with news of a pending attack, they want official reports rather than immediate defensive preparations. Of course, Corry saves the day by stubbornly refusing the officer’s demands and by choosing the right plan of action as opposed to the officious one, and the regiment responds brilliantly to the German attack (at Corry’s prompting) in spite of their officer’s incompetence. All told, this is a fairly straightforward story about the difference between the men who do the fighting and the men who write the reports and file the paper, and is a very good example of what Bird is capable of writing in the pulp genre. As a side note, Strike Me Pink! begs comparison on several counts to Humphrey Cobb’s novel Paths of Glory: both are concerned with officers obsessed with bureaucracy and paperwork, and though both Cobb & Bird served in Canadian outfits, both save their harshest fictional criticisms for officers from France and the UK. And so, without further ado: from the June, 1930 issue of War Stories, Will R. Bird’s Strike Me Pink! I’ve cleaned up the images a bit. The PDF is below the cover image. Enjoy. This entry was posted in Uncategorized and tagged Pulp, War Stories, Will R. Bird. Bookmark the permalink. 3 Responses to Will R. Bird’s “Strike Me Pink!” (1930)…. Though or because? After all, they’re more likely to encounter former Canadian officers in civilian life. That’s true, but I don’t think it was a major consideration for Cobb, who was an American and spent most of his post-WWI life in advertising in New York. He could have been as critical of Canadian officers in his novella “None But the Brave” as he was of French officers in “Paths of Glory” but he wasn’t. I find that a little surprising given, amongst other things, his close friendship with Charles Yale Harrison. Bird didn’t let Canadian officers get off scot-free in his writing about the war, but he certainly was keenly attuned to which way the winds were blowing in terms of popular opinion. My impression is that he was probably more conscious of alienating the Canadian public (he was a popular magazine writer, after all) than retired senior officers now on civvy-street, but that may well have played into it. One of my contentions about the Canadian literature of the First World War is that it is distinctive from that of our major allies. The Canadian experience was not the British, nor the American, and certainly not the French. But because authors from these nations set the criteria for what must appear in an “authentic” piece of war literature, Canadian efforts are viewed as pale imitations, (irrespective of the quality of the writing), because they simply aren’t as brutal, graphic or critical as Sassoon, Remarque, Barbusse, etc. On the whole, I think Canadian soldier-authors are less critical of their officers because (generally speaking), they could see they were trying to innovate and they were certainly less concerned with traditional “parade-ground” discipline (saluting, kit inspections, etc) than say the Brits. One simply doesn’t come across the stuffy career officer type in Canadian war literature because for the most part, we didn’t have them –being a young nation with a really small army. Anyway, thanks for finding my blog. I hope you enjoy the stories I’ve been posting –there’s lots more to come. There’s support for that argument in Richard Aldington’s Death of a Hero, where George Winterbourne, the central character, is sent to arrange relief of a Canadian battalion and meets the C.O. sitting on a field latrine and reflects on the difference in disciplinary habits.